How have you been keeping track of your martial arts training efforts, belt tests and competition results? Perhaps with pen and paper in a journal? Perhaps in a custom-made spreadsheet? Or perhaps not at all? Have you ever wished that there was a martial arts training app that allowed you to keep track of these things in a better way? If so we have something in common! Combat Academy was created by a small group of fitness and tech enthusiasts who felt that combat sports athletes and fans should have access to software that would allow them to do all those things and much more, and when we could not find any apps that had all the features we were after we decided to create one ourselves. There are many great apps available for athletes that are into running and cycling. These are based around GPS tracks recorded with a smartphone or sports watch from which key performance data such as speed, pace and distance can be calculated. This works great for endurance sports, but GPS data is of little value to martial artists. 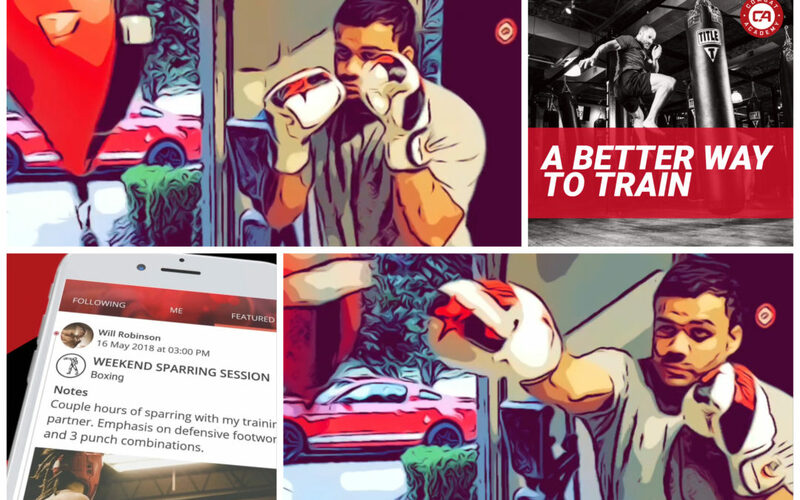 So we decided to take the best features of these running and cycling apps (keep training logs, set goals, follow other users and share activities via email or social networks) and then add in additional features that we felt would be important to martial artists, thus creating a truly dedicated martial arts training app. So, what does the Combat Academy app offer? We have included the ability to break down training sessions by time (class time, sparring time, bag time, etc) and by techniques attempted and executed (submissions, takedowns, strike thrown/landed, etc), but most importantly in our opinion, we allow attaching video to each activity logged. With all martial arts disciplines being so technical in nature we feel strongly that video is the best tool for learning, coaching and progressing and we hope that many of you will appreciate and make use of this feature. We also allow each user to build up a video-based techniques library where own or others video can be saved and tagged for future learning and analysis. We have written a more on the benefits of using video as a training aid in MMA and other Combat Sports here. Create your own profile highlighting sports you practice, your teams and gyms, your location and include a profile picture. Search for other users, activities and techniques. View graphs and stats of your training effort over time. Track your CRS (Combat Readiness score). You can read more about the CRS here. Share your profile or activities on social media or with messaging apps. 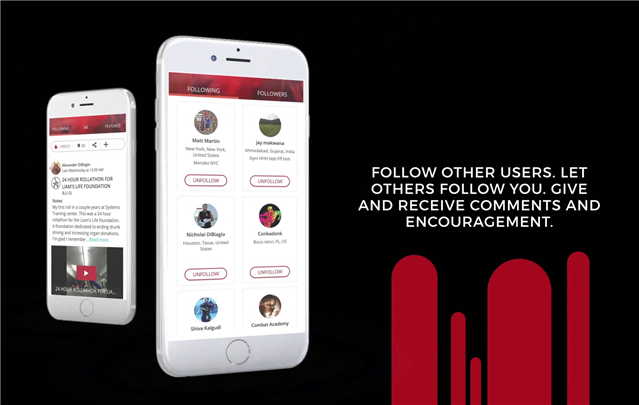 Follow other users and comment on their activities and videos. Invite your friends to join the platform directly from the apps. Earn medals, trophies and achievements from white to platinum level. We launched our web-app in January 2018, the iOS app in May and finally the Android app in early June. Currently the web-app is a bit more feature rich than the mobile apps (you can read about some of the additional features here) but over time we will close this feature gap and we plan to add plenty of new features to all the apps. In the meantime, if you have any feature suggestions at all please feel free to let us know here, and as always, if you have any general questions or comments you can let us know here, or in the comments below.